Updating Driver is one of the issues we have to face if having a good quality computer or laptop. We want to keep our system up to date for the proper coordination between hardware and software. For the better performance and coordination of your system, you must have all the drivers up to date. This is more likely to happen when you are getting the wrong response or the system is not behaving correctly because few of your drivers are outdated and you are not able to recognize that which one should be updated. There can be two ways to update your drivers. You can manually update drivers by troubleshooting or you can use tools for it. We will definitely recommend you to use Driver Updater tools. There are many benefits of using these tools like updating more than one drivers at a time, smooth access to tools but the major benefit is the automated detection of outdated drivers. Driver Updater tools can automatically detect that which driver should be updated and how many drivers are outdated in the system. There are a lot of Driver Updater Tools available out there and you can’t decide which one is better and can work correctly for you. So we’ll be showing you some of the Best Driver Updater software that you can use for Updating your Drivers. We have listed top 10 drivers according to user ratings and reviews, all the drivers have given below are trusted and 100% secure and malware and spyware free. 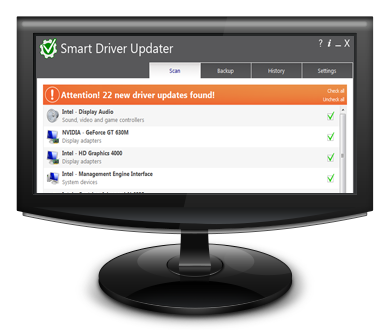 Smart Driver Updater is one of the best Driver Updater software with over 1 million drivers to cover all your hardware devices. It has One click backup and restores of all your PC drivers so you know your updates are safe. Easily schedule scans of your PC to check regularly for outdated drivers. It is paid tool but you can use it for free scan to see if you have outdated drivers. It Ensures the Stability of your PC Devices with One Click. Easy Updates for Windows OS Upgrades. Instant Access to all the Latest Drivers. Drivers for all your Windows Devices. If you are upgrading your operating system or just need to reinstall Windows, Smart Driver Updater can backup all the drivers on your PC or laptop. It has built in scheduler to run a scan automatically at a time and interval that is convenient for you. Download Smart Driver Updater From here. Driver easy is another best Driver Updater tool. 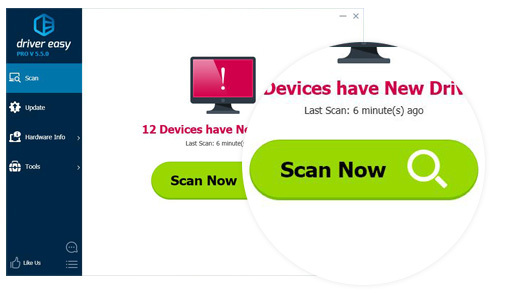 It scans your computer, tells you what drivers are missing or outdated on your system, then updates them all, in one go. All you have to do is click Update All button, and all drivers will be downloaded and installed automatically. Offline Scan if you a not having Internet at present time. You can shedule your scan for updating drivers. It can Backup and restore you drivers. If you are having drivers for removed hardware devices then it will remove them. Optional auto-shutdown after download completed. Download Driver Easy from here. 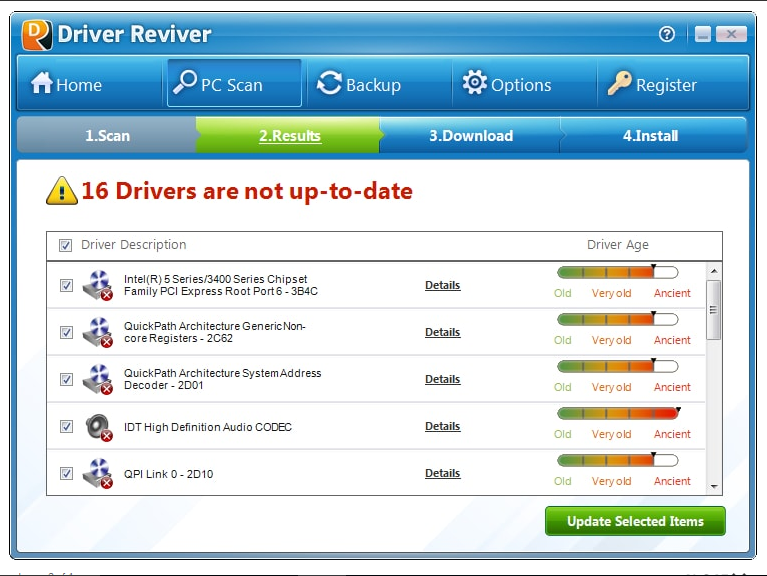 Driver Reviver is good for easy navigation and Updation of Drivers. You can easily Update your drivers and backup them according to your need to Improve compatibility with newer operating systems. At this present time, Driver Reviver is only available for Windows 10. As it is only for Windows 10 so developers have embedded more reliable and made it more convenient for its users. So if you are looking for driver updater for windows 10 then Driver Reviver could be a best choice. Provides Official Drivers with easy navigation. No limit on Updating drivers. 24*7 Support available regarding driver updation. Download Driver Reviver from here. 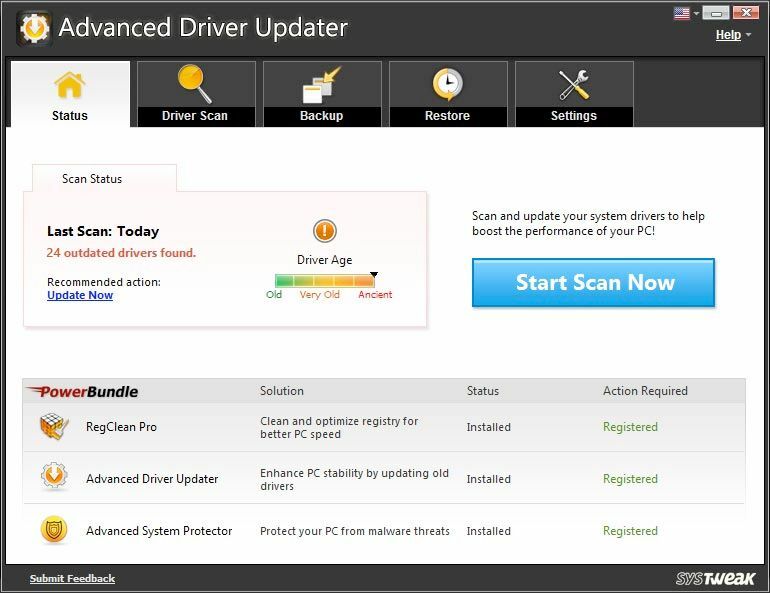 Advanced Driver Updater is another best driver updater software for those who want to update driver in an easy and quick way. It is one of the utilities that scans your system for outdated drivers and updates them for peak performance. It supports multiple languages like French, Spanish, Italian, etc. This Driver updater is pretty compatible with almost every version of windows so if you are using any version of windows it will suit your needs. Multiple language support for the driver update. Download Advanced Driver Updater from here. 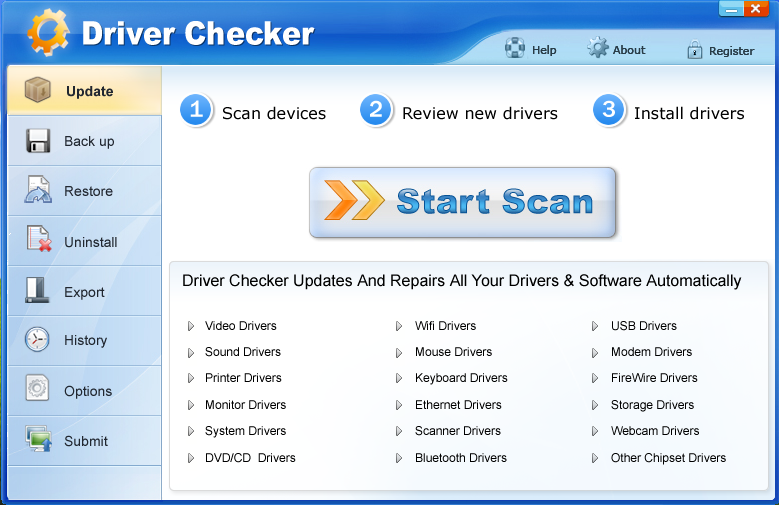 Driver Checker is one of the best lightweight Driver Updater software with some advance features For updating outdated drivers. By using Driver Checker you can access a large driver database and updates the drivers automatically in just few minutes. Offline and Online driver updates supported. Free and quick driver analysis report to your system. Available more than 1million drivers for update. One Click for update and fix drivers. Download Driver Checker from here. Driver Support is providing Driver updating service since 1996. It has one of the best driver Intelligence Database with Over 26 Million Drivers. Customizable User Interface & Preference Settings. Driver Intelligence Database with Over 26 Million Drivers. Provides Customizable User Interface & Preference Settings. It has Scanning Technology with OEM Model Matching. Download Driver Support from here. 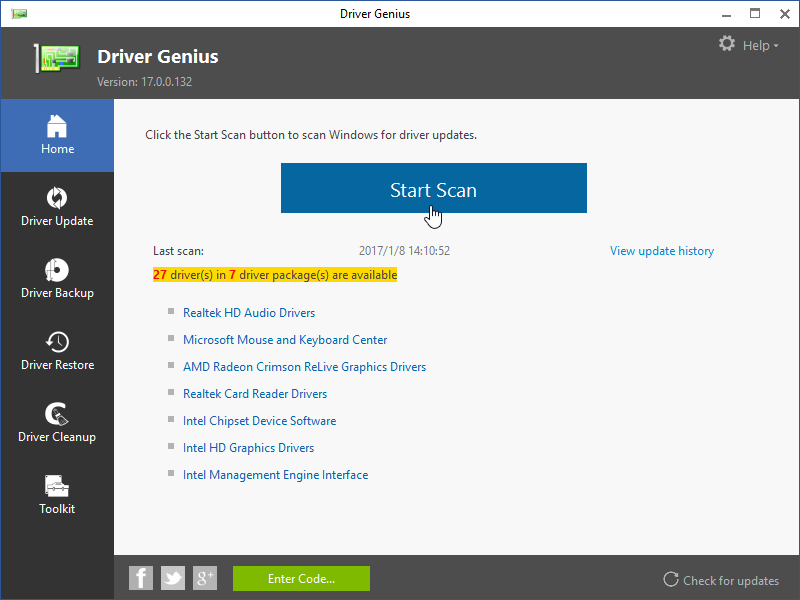 Driver Genius is another Best Driver Updater Tool that you can use. It Provides premium support with almost every driver update. Easy accessing makes it smoother with the updating process of old drivers. New system information tool for Detailed hardware inventory. Hardware temperature monitor. Protect your CPU, GPU and Hard Disk Drive. It has new system transfer assistant for Upgrade/degrade your Windows system easily. Download Driver Genius from here. Keyboard & Mouse Drivers etc. Auto detect on Unknown device drivers. It keeps existing drivers up to date. It has over 8 million Hardware driver database. Download Driver Navigator from here. 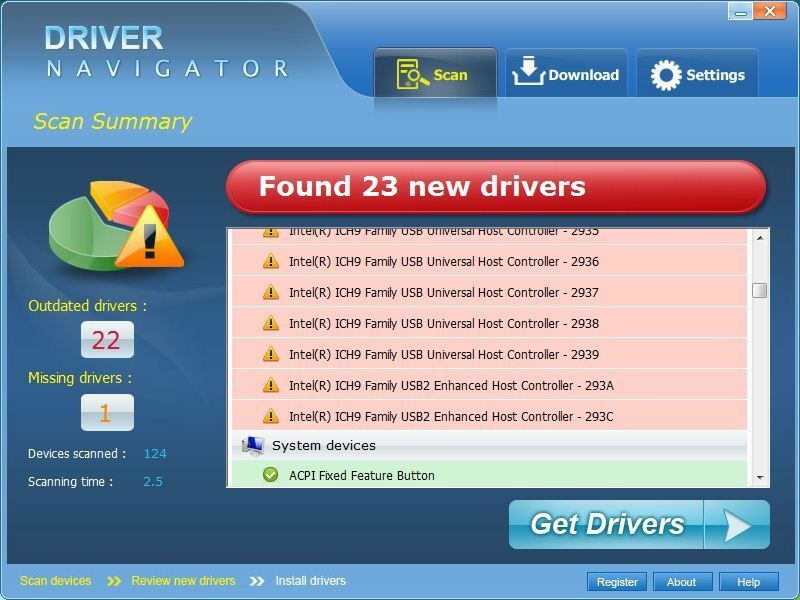 DriverFinder is one of the advanced driver scanning, updating and downloading utility for Windows-based PCs. Individual drivers may be available freely by manually visiting device manufacturer websites. It can scan and find all the missing and outdated drivers to update. It has Precision PC Scanning Technology. It has a Huge Driver Database. The above-given driver updater softwares are recommended and best for windows. Doesn’t matter if you are using windows 10, Windows 8 or Windows 7 or any other version of windows, you will find your best driver updater in above list.